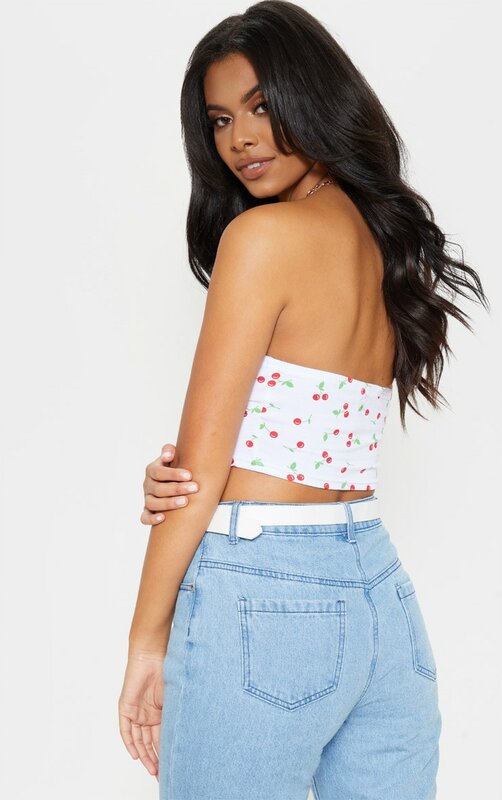 Elevate your look with this fruity print crop top. 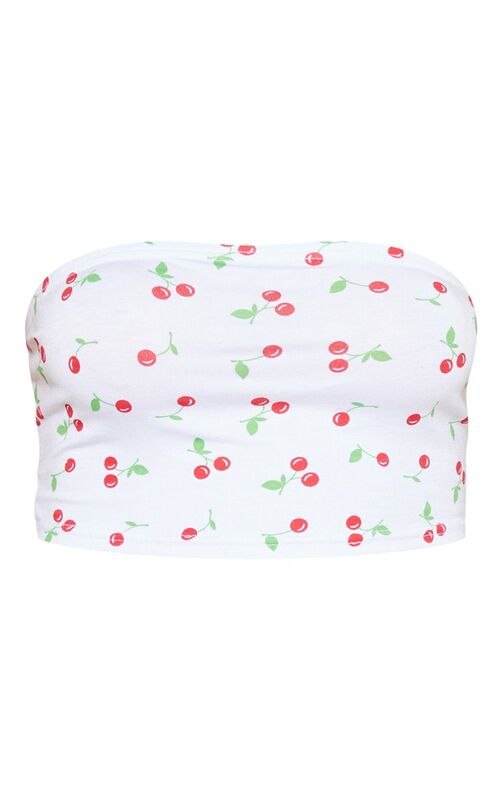 Featuring a white material with a cherry print and a bandeau design, we are obsessed. 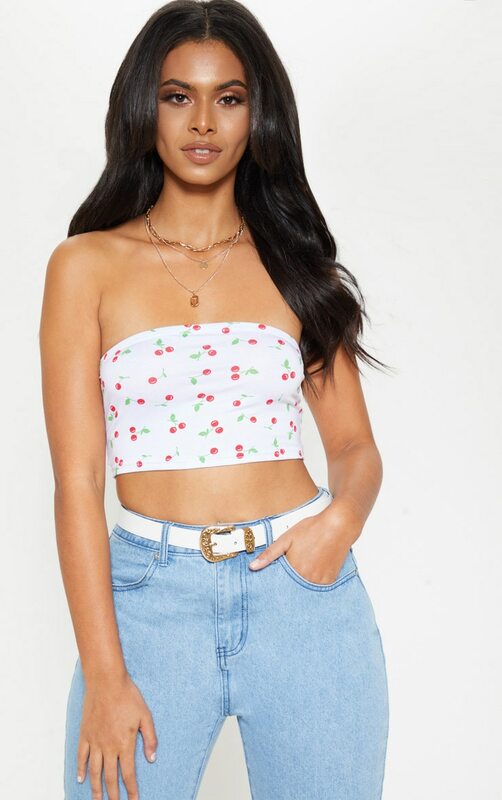 Team it with some simple denim shorts for a look we're loving.